Check out the new second season trailer for the Underground TV show on WGN America. Underground season two premieres Wednesday, March 8, 2017, at 10:00pm ET/PT. The promo features Aisha Hinds as abolitionist Harriet Tubman. 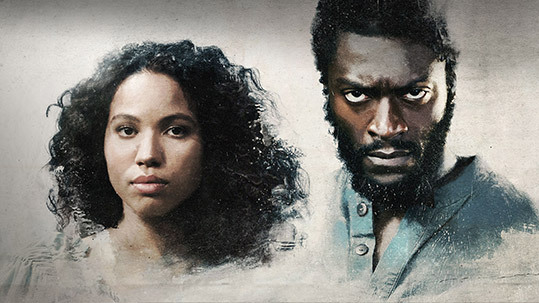 Jurnee Smollett-Bell, Aldis Hodge, Jessica de Gouw, Alano Miller‎, and Amirah Vann also star. Brigid Brannagh returns as slave catcher Patty Cannon. Watch the Underground season two preview, after the jump. While Underground is set in the 1850s, the historical Patty Cannon committed suicide while imprisoned, in 1829. What do you think? Have you watched the first season of the Underground TV series? Do you plan to tune in for the second on WGN America? Let us know, below. Love the series Underground. Best African American series about the underground and Harriet Tubman I have seen thus far. Love the actors and can’t wait for it to come back on. Loved it. I’ve always been fascinated with African American history and what life must have been like for enslaved people. I like the acting too and the story line. I plan on watching the start of season two on 3/8/17.